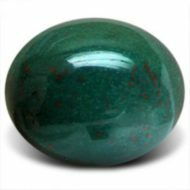 Cherished since the ancient Egyptians began mining it more than 3,500 years ago, this stone is said to offer mind-body balance and reduce stress. 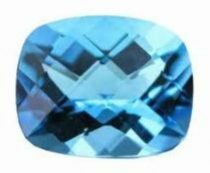 Add to that how it’s supposed to bring good luck and financial success, and you’ve got one fabulous birthstone. Plus, this pretty green gem is identified as a mystical healer of broken hearts. One who wears Peridot will gain wealth, happiness, good health, and have good children. Peridots are believed to cure epilepsy. It releases the energy of softness and warmth and is nurturing to the wearer. Peridot, the gem form of the mineral olivine, traces its jewellery roots back more than 3,500 years. 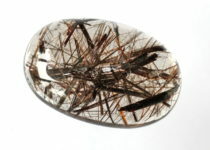 It was first mined by the ancient Egyptian on the island of Zebargad in the Red Sea. Zebargad was known as the “serpent isle” because it was infested with snakes that interfered with mining activity until one Pharaoh finally had them all driven into the sea. Found in various shades of green, Peridot is most prized in lime hues. The Roman called Peridot “evening Emerald” because its green colour was said to glow at night. Peridot is often associated with wealth, likely a modern view of the gemstone. For those who believe in the power of gemstones to effect change, the Gemstone is credited with increasing energy and strength, Many also believe that Peridot possesses the power to help heal hurt feelings, so if you believe in the Victorian sensibility of letting gemstones send a message, Peridot is a gift that for the person whose feelings you’ve wounded.